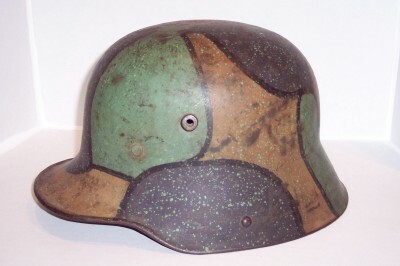 German M17 three color patch pattern camo helmet. M17 steel liner band with three pads. 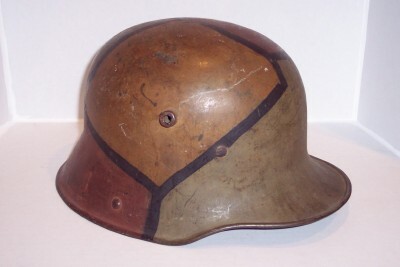 German M17 with metal liner band with three white leather pads. Camo is standard three color patch pattern. German M17 with metal liner band with three white leather pads. Three color patch pattern done with flecks of green over entire helmet for effect.